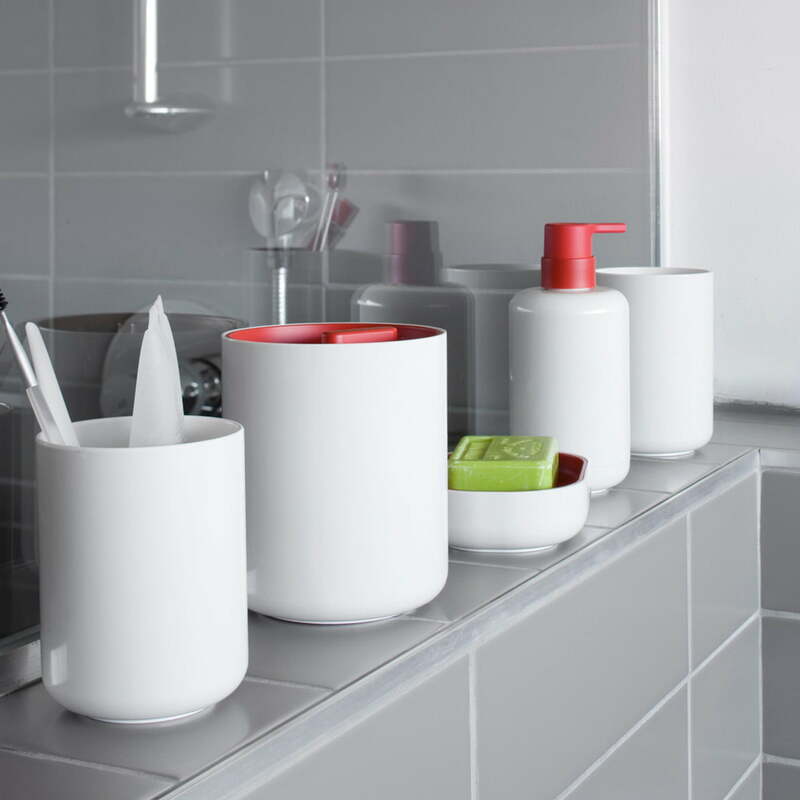 Simple and functional bathroom accessories. 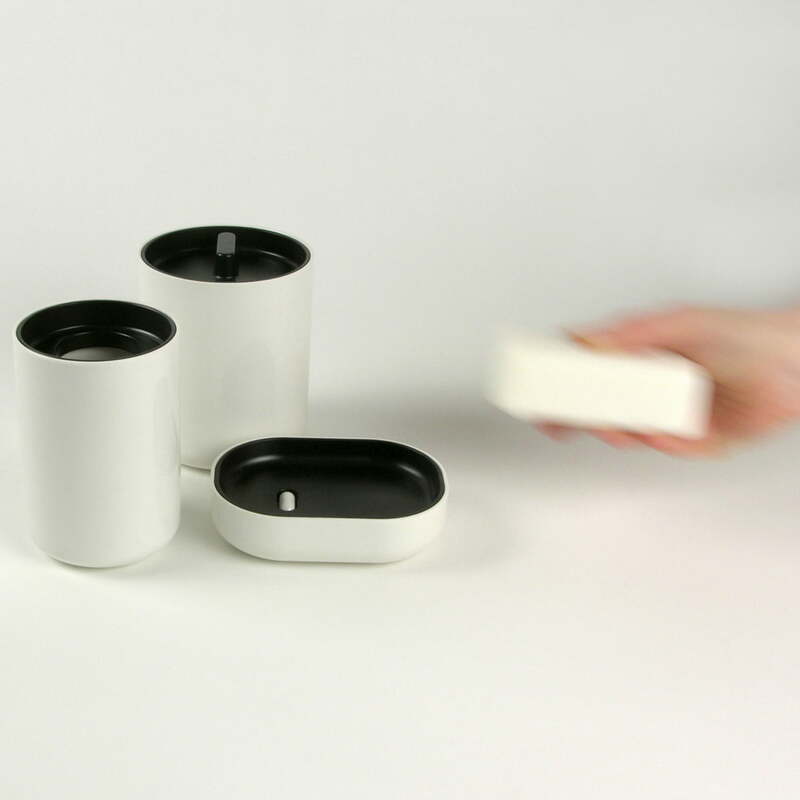 The Lunar soap dish - like all other products from the collection – is particularly easy to clean thanks to the rounded corners. The dish consists of a total of two parts. 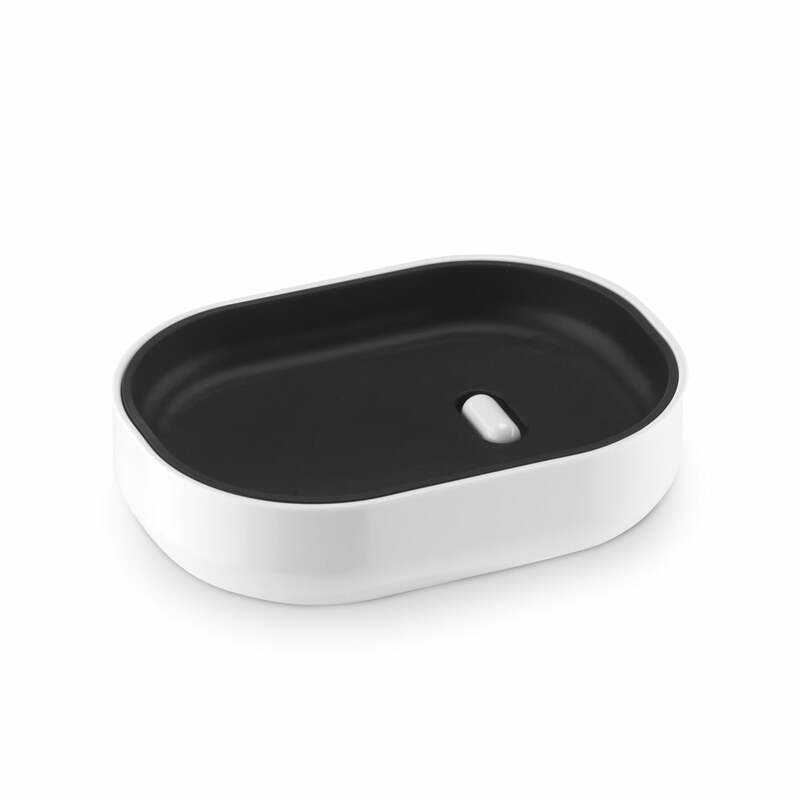 A white outer dish and a colour insert. Thanks to the opening in the insert, soapy water can drain out freely, keeping the dish clean. A small arm in the inner dish lets soap dry easily. 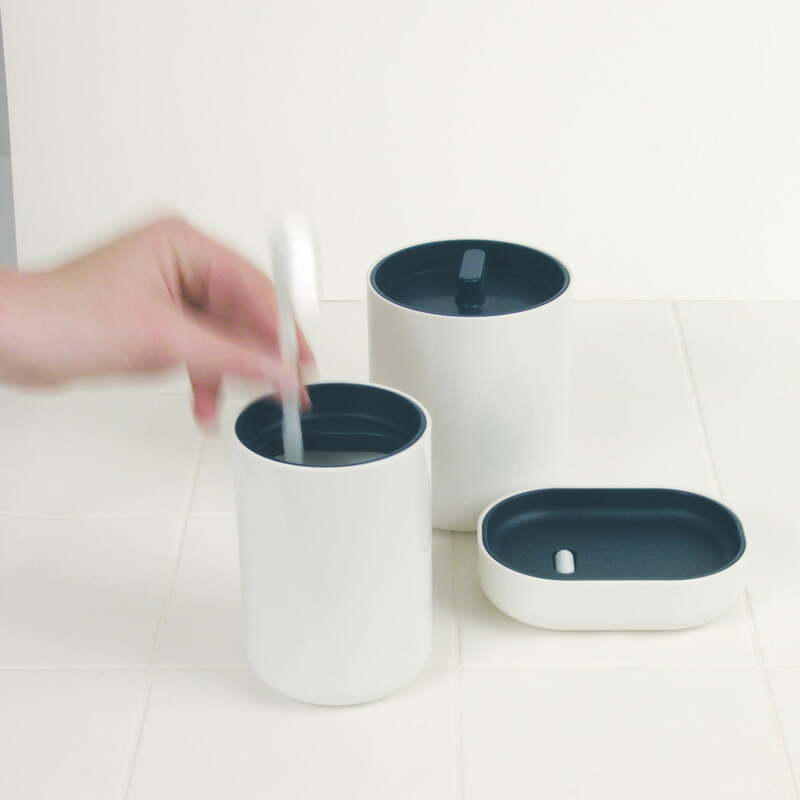 The reduced shape of the soap dish can be adapted individually to your bathroom using inner dishes (available in different colours). Individual image of the Lunar soap dish by Authentics in white / black.The Lunar soap dish is part of the eponymous collection by Edward Barber and Jay Osgerby for Authentics.